How to enable Lightning in Salesforce? 1. Go to "Lightning Experience". 3. Click "Continue to Lightning Experience". 4. Select "Switch to Lightning Experience". 5. Confirm Switch to Lightning Experience. How to get Apex Classes names in Salefsforce? 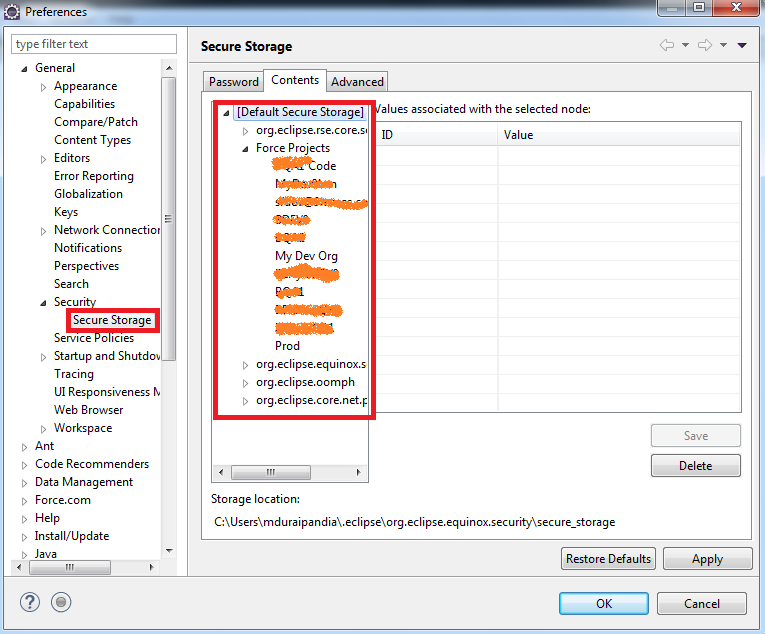 Below query is used to get Apex Classes names in Salefsforce. One more approach is use Ant tool to fetch all Apex Classes with the below Package.xml. How to avoid focusing to Date or text field in a Visualforce page? 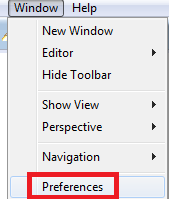 Add the below code in the Visualforce page to avoid focusing to Date or text field. Compound fields group together multiple elements of primitive data types, such as numbers or strings, to represent complex data types, such as a location or an address. Compound fields are an abstraction that can simplify application code that handles the values, leading to more concise, understandable code. Address compound fields are available in the SOAP and REST APIs in API version 30.0 and later. Geolocation fields are available in the SOAP and REST APIs in API version 26.0 and later, with some limitations on SOAP for API versions below 30.0. Salesforce Certified Platform Developer I Transition Exam consists of 15 questions. This is applicable only for people who have already completed Salesforce.com certified Force.com Advanced Developer Multiple choice questions. Only 3 attempts are allowed. Download the study guide and go through all the links given in it. 1. Many questions were part of Governor Limits. 2. Concentrate more on Lightning. 3. Study about Static and Final keywords. 4. Learn Order of Execution. 5. Focus on Schema Builder features. 6. Give importance to Process Builder. How to update classes even when they are scheduled in Salesforce? To check whether the batch class is executed by scheduling the scheduler class, execute the below code in Developer console or in Workbench. Schedule the AccountUpdateScheduler class and try to update the handler class or batch class. We will not get any error stating that dependent class is scheduled. How to dynamically pass From and To date in Time Frame section in Report in Salesforce? 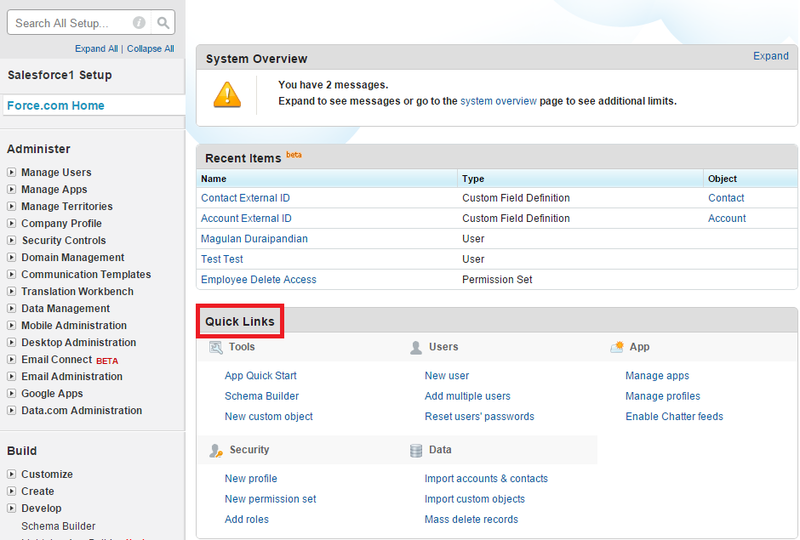 colDt_s and colDt_e are used to dynamically pass From and To date in Time Frame section in Report in Salesforce. Senior Developer Needed in NYC! Send an email to nancy@tech2resources.com to grab the wonder opportunity with more benefits. How to create Opportunity Line Item using Apex in Salesforce? OLI.PricebookEntryId = PBE.Id; //PriceBookEntry Id for that Product should be assigned. We cannot assign Product2Id to OpportunityLineItem. 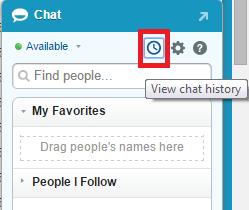 How to view Chat History in Salesforce? 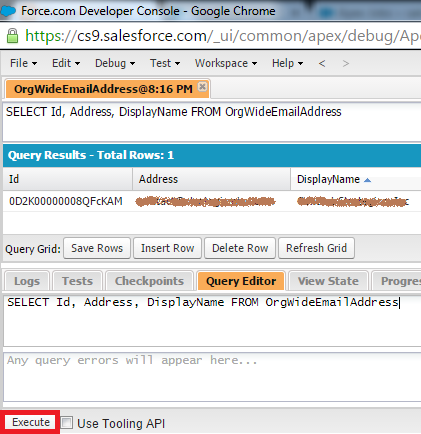 How to get all field names in all objects using Apex in Salesforce? 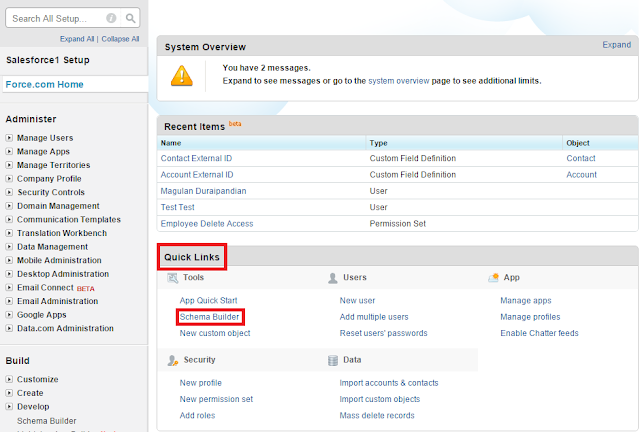 How to update Custom Settings value using Apex in Salesforce? We can query or we can use getInstance() to get the value and then we can use update keyword to update the Custom Settings value. Here Test__c is a Custom Settings and Test is the name of the record. 1. Check whether the image size is less than 20kb or 15kb. 2. Use system.debug() to print the PDF content before Blob.toPDF() and try to render it as HTML file. 3. Check whether the Image URL is a valid URL. How to access Schema Builder in Salesforce? 1. 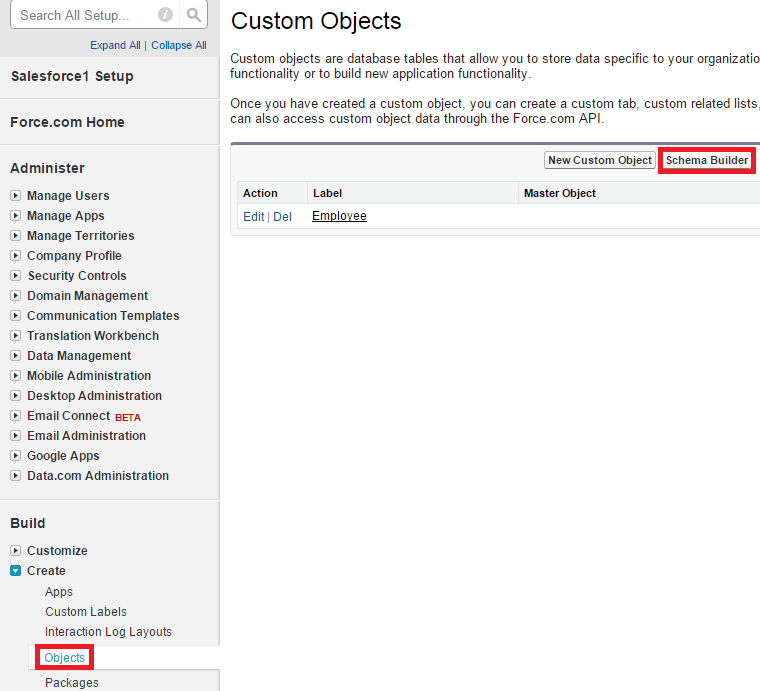 Create --> Objects --> Schema Builder. 2. 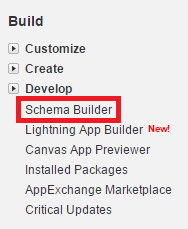 Setup --> Schema Builder. 3. Quick Links --> Schema Builder. 1. Go to Window --> Preferences. 2. Go to General --> Security --> Secure Storage. How to fix System.LimitException: Attempted to schedule too many concurrent batch jobs in this org (limit is 5) issue? To fix System.LimitException: Attempted to schedule too many concurrent batch jobs in this org (limit is 5) issue, instead of calling Database.execute method in test class, call the Scheduler class in the test method. If the batch class doesn't contain Scheduler class, create a scheduler class for it. 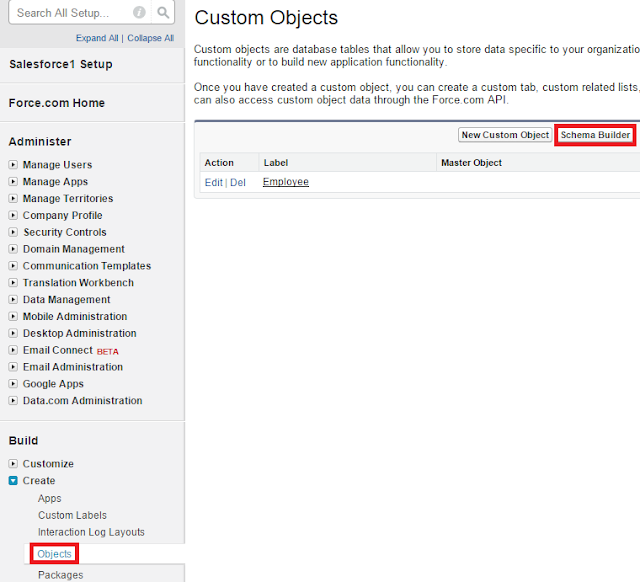 How to Set Up Test Data for an Entire Test Class in Salesforce? To Set Up Test Data for an Entire Test Class in Salesforce, @testSetup is used. @testSetup avoids creation of same set of records to be used in different test methods in the same test class. 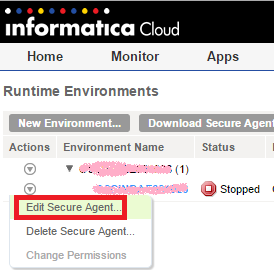 How to rename Secure Agent in Informatica Cloud? 1. Go to Configure --> Runtime Environments. 2. Click "Edit Secure Agent...". 3. Do the changes and click "Ok" to save. When you face Permission Convert Leads depends on permission(s): Create Account, Edit Lead error while deploying, make sure that you give Create Access to Account and Edit access to Lead. In case, Account and Lead permissions are not included in the deployment list, update the profile directly in the destination organization to give Create Access to Account and Edit access to Lead. Without Create Access to Account and Edit access to Lead, you cannot deploy the profile since the Lead conversion requires give Create Access to Account and Edit access to Lead. 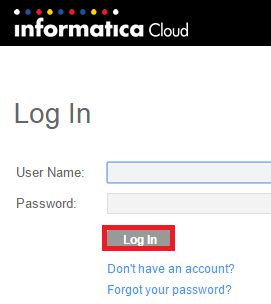 How to log in into Informatica Cloud? 2. Click "Informatic Cloud" button under Log In. 3. Enter your username and password and click "Log In". If you don't have an account, click "Don't have an account?" link. How to get Sub String of String using two Strings in Salesforce using Apex? substringBetween() is used to get Sub String of String using two Strings in Salesforce using Apex. 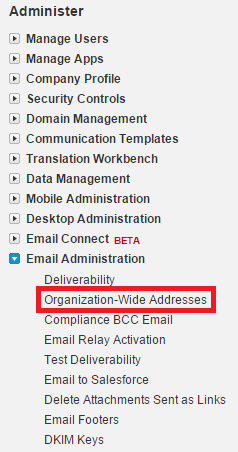 How to set From Address for sending emails using Apex? 1. 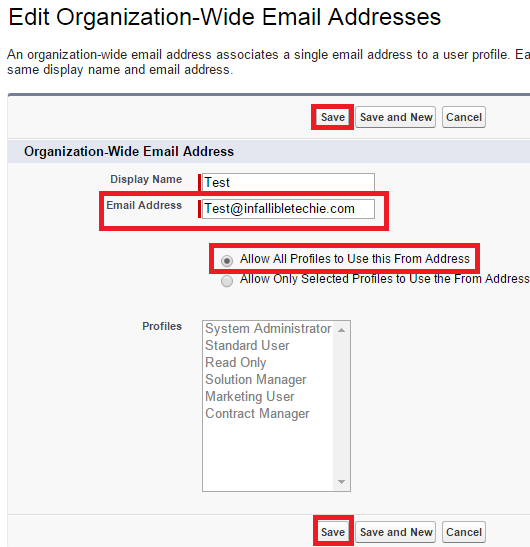 Go to Email Administration --> Organization-Wide Addresses. 3. Enter the information and click "Save" button. 4. Go to the email entered. You would have received an email from Salesforce. Confirm it to verify the email. 5. Go to Developer Console and use the below Query. 6. Store the id in a custom label. 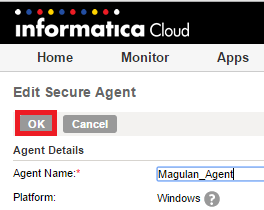 How To Download and Install the Informatica Secure Agent? 2. Click "Download Secure Agent...". 3. Select your platform and click "Download". In order to sign up or register in Informatica Cloud Academy, personal emails with Email providers like Google, Yahoo, etc.. are not allowed. Go to Courses link and start watching videos to learn quickly. Start with Foundational Courses, then Supplemental and then practice all the Learning Labs. It supports more than 50000 records. It supports only up to 50000. It supports almost all standard and custom objects. It supports Custom objects but only few Standard objects like Accounts, Solutions, Leads and Contacts. It doesn’t support schedule export. Delete operation is not available. While importing, duplicates cannot be ignored. While importing, duplicates can be ignored. How to find minutes, seconds and Milliseconds difference between two datetime in Salesforce? getTime() in Salesforce is used to get milliseconds from a Datetime.